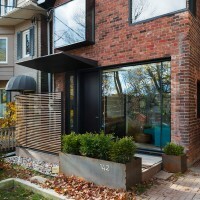 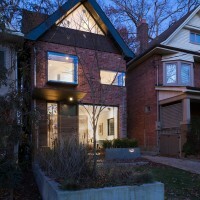 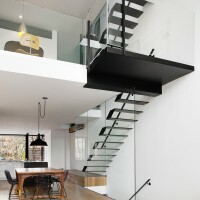 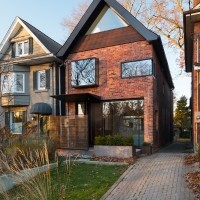 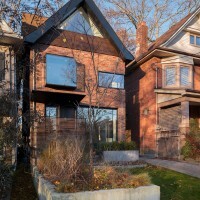 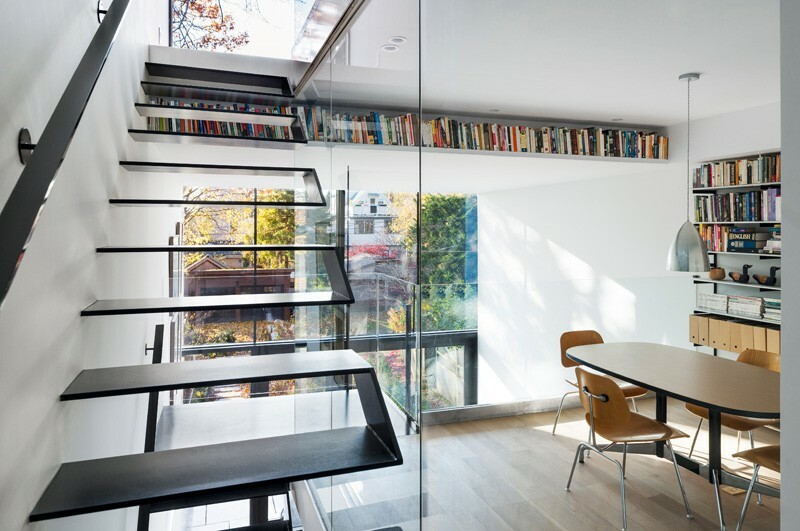 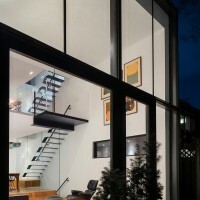 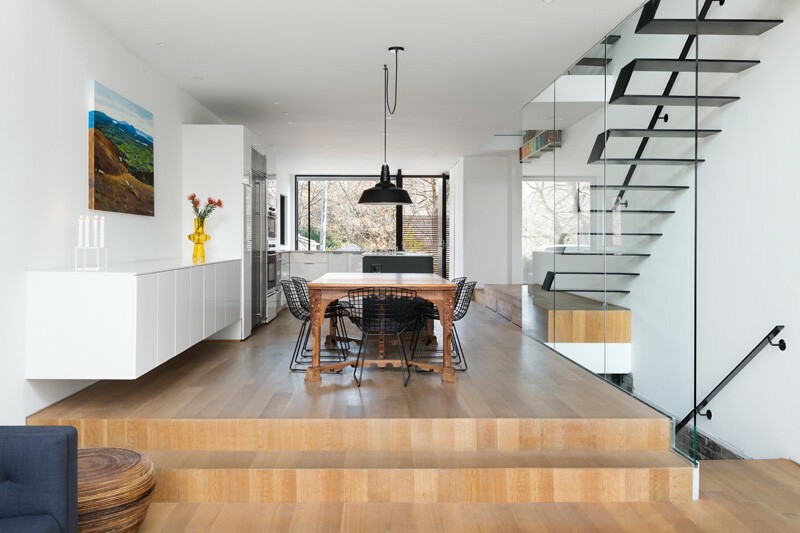 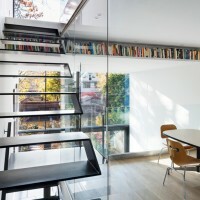 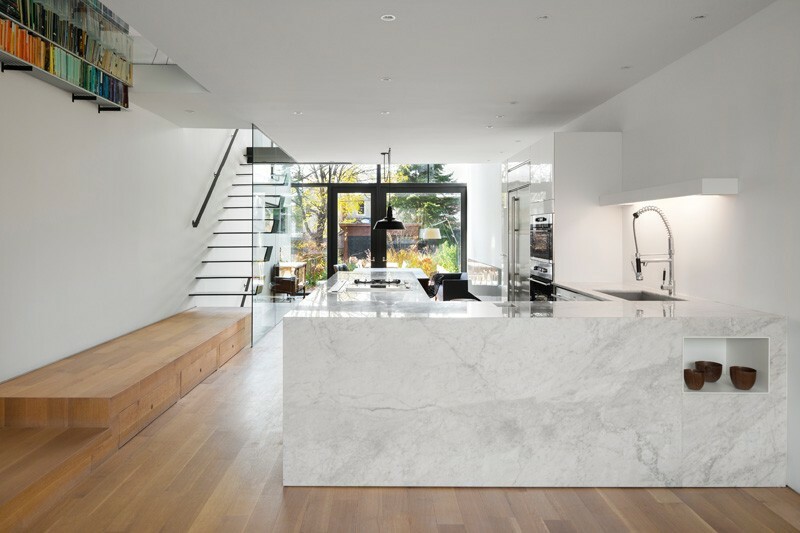 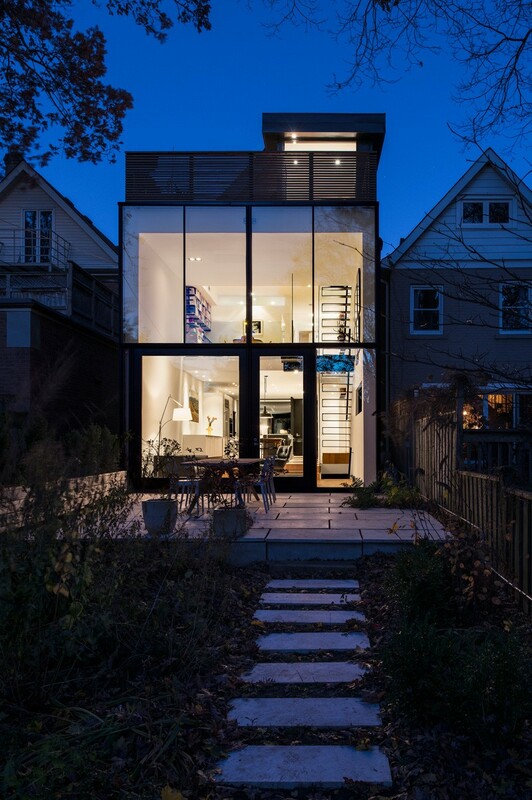 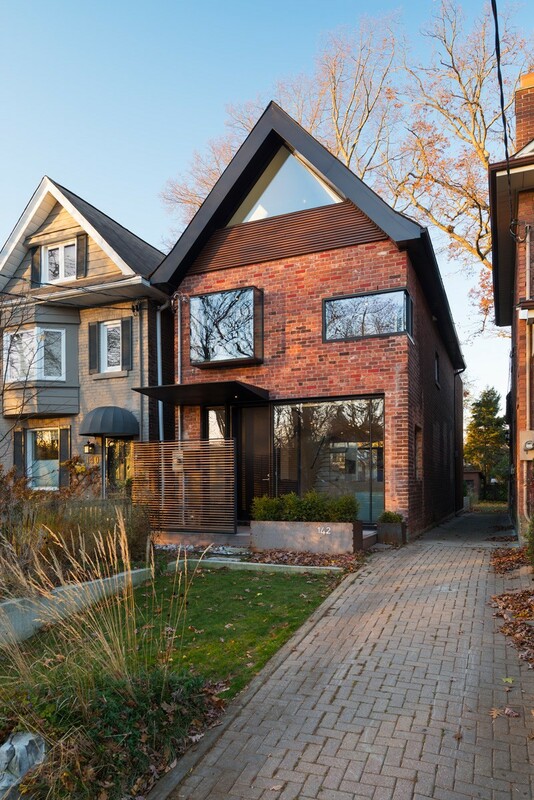 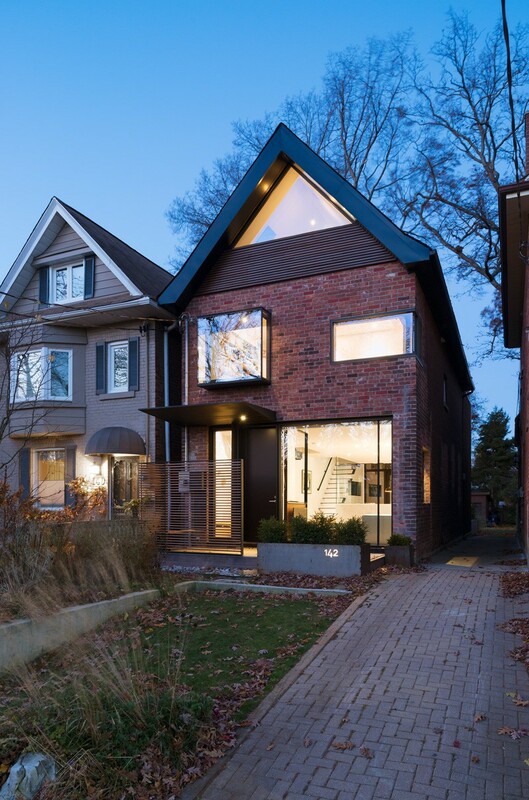 Johnson Chou has designed the renovation of 142 Kenilworth, an early 1930s house in Toronto, Canada. 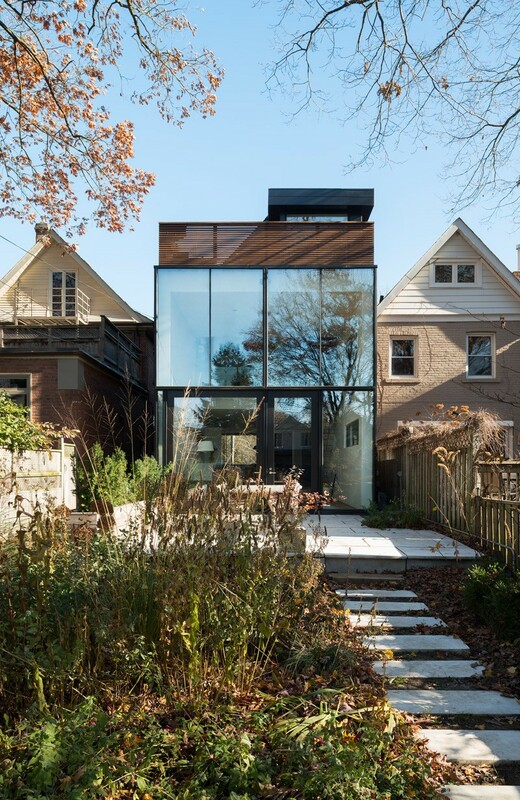 As the eye moves from the front to the rear of the house, the solidity evoked by the front facade dematerializes to a veneer of glass – framed by narrow, custom-fabricated mullions – that creates the illusion of being detached from the house. 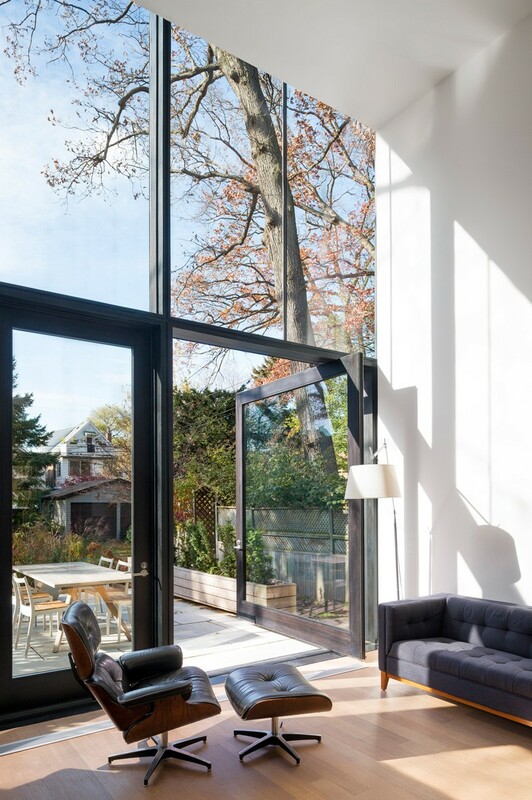 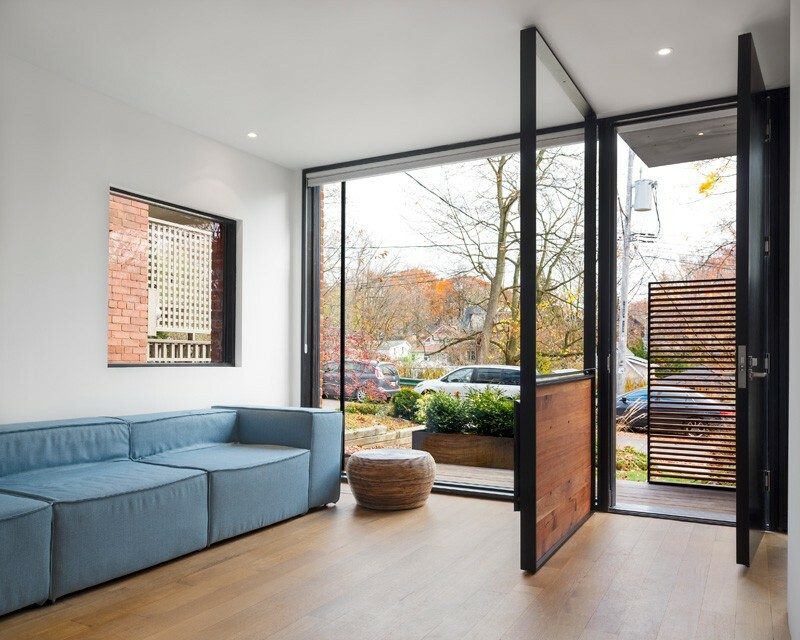 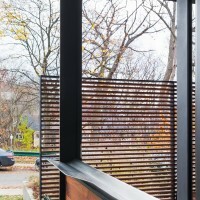 Blurring the distinction between the interior and exterior, the glazed rear facade contains an oversized, pivoting glass door that leads out to a patio. 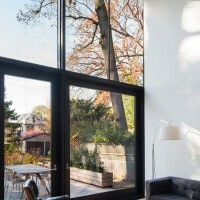 The attic was transformed into a master bedroom and ensuite – separated by frameless glass screens – by levelling the ceiling; however, the peaked window, not only frames the tub and view of the park beyond, but was a result of maintaining the facade that is mirrored in the adjacent buildings. 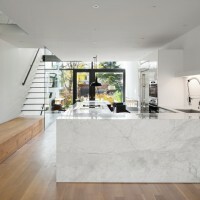 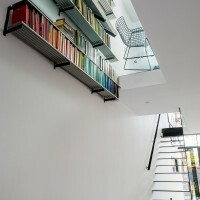 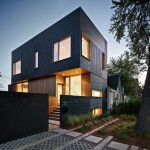 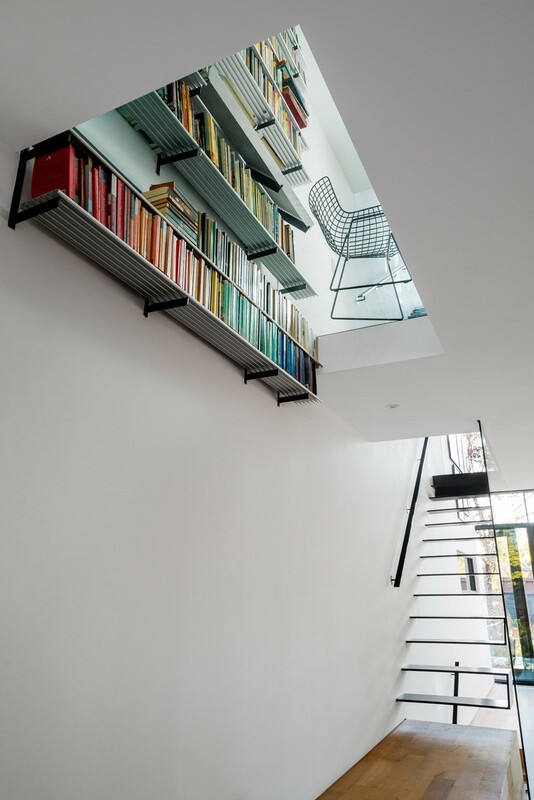 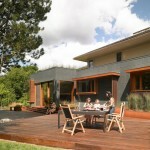 Architecture Firm: Johnson Chou Inc.